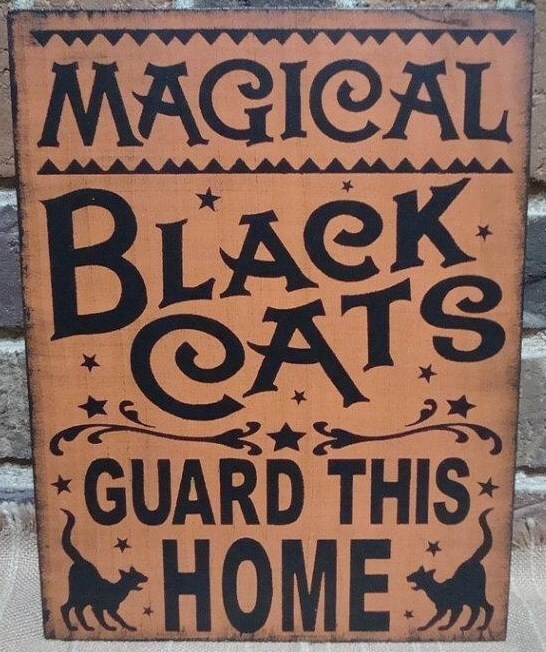 For your consideration is this unique NEW custom painted Primitive Witch Sign "Magical Black Cats Guard This Home". I started with a specially cut pine board that measures approximately 9" x 12". 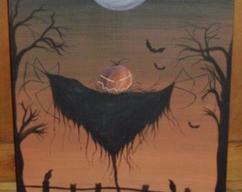 I painted it in shades of midnight and bittersweet orange. The design and lettering is done in black. I have aged it to give it a very old, rustic look and sealed it with matte sealant. I rubbed it with harvest spices for a passing scent. 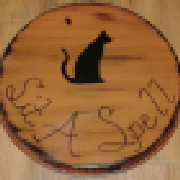 This sign is a must for any cat lover and will make a cozy addition to your home! It will fly to you signed and dated by me. Don't forget that I love to do custom work. Need different colors? Just ask. 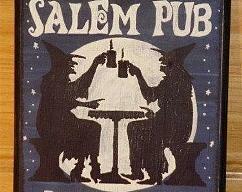 Send me a message of your needful and I will be happy to craft something that will dazzle you!